Venter’s Landing on the Lynches River in Johnsonville is home to this seven-foot-tall bronze statue of General Francis Marion. It was at this very spot – once called Witherspoon’s Ferry – that Marion, known as the Swamp Fox, received his commission to command the Williamsburgh (now spelled Williamsburg) Militia during the Revolutionary War. Legend has it that Marion received his famous moniker from British Colonel Banastre Tarleton, who expressed fear and frustration over his inability to capture the “old swamp fox.” General Marion earned his revered place in South Carolina history for outsmarting the British and successfully leading his militia troops in guerrilla warfare following the 1780 Siege of Charleston. Marion was able to elude the British by traveling undetected through the South Carolina swamps and forests. 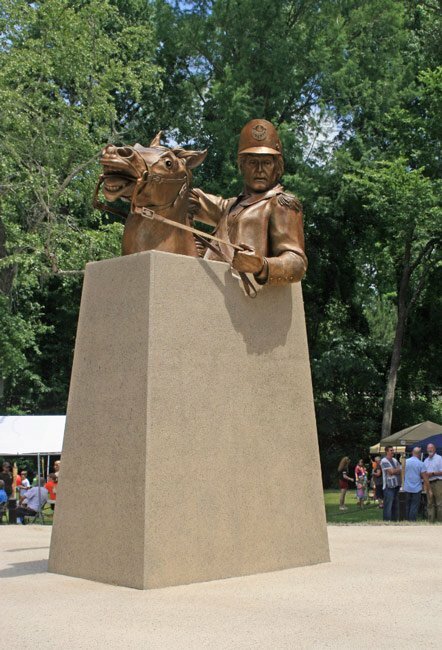 The statue sits atop a twelve-foot-tall base and was revealed in a May 18, 2013 ceremony. Its sculptor, Florence-based artist Alex Palkovich, also created the three-columned obelisk with a bronze bald eagle apex in Florence Veterans Park. The area surrounding the Francis Marion sculpture at Venter’s Landing is now deemed a Veterans Park as well. 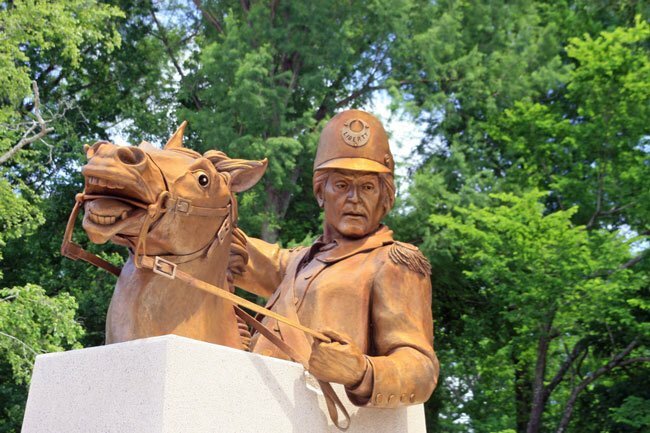 The statue was purchased by private donors for $100,000. It stands next to a bridge on the side of the highway. 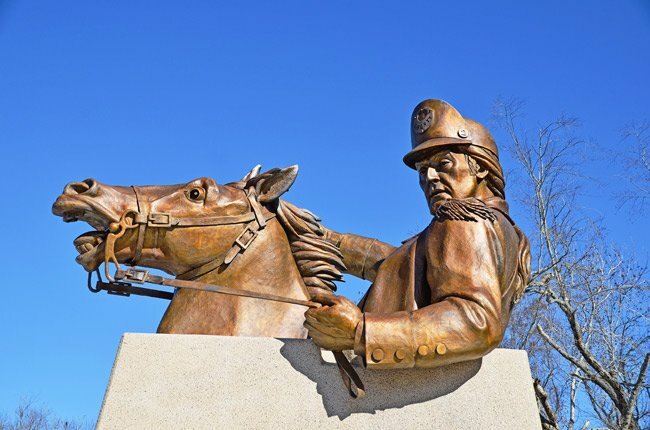 General Marion has memorials throughout our state, and a Swamp Fox mural adorns the city of Manning. In addition, numerous South Carolina places are named for him, including the City of Marion, the County of Marion, Francis Marion University in Florence, Marion Square in Charleston, and Francis Marion National Forest and Lake Marion, both of which extend throughout multiple counties.